A few years ago I reached out to some local vendors playing with the idea of giving away an entire wedding. I might have sounded crazy but it was something I had been wanting to do for awhile and started seeing similar occurrences happening in other parts of the US. It took some researching and a lot of trust from some amazing vendors and here we are, photographing the engagement session of our first ever Midwest Wedding Giveaway couple. This love story is different. This couple is different. Their entire wedding will be different. 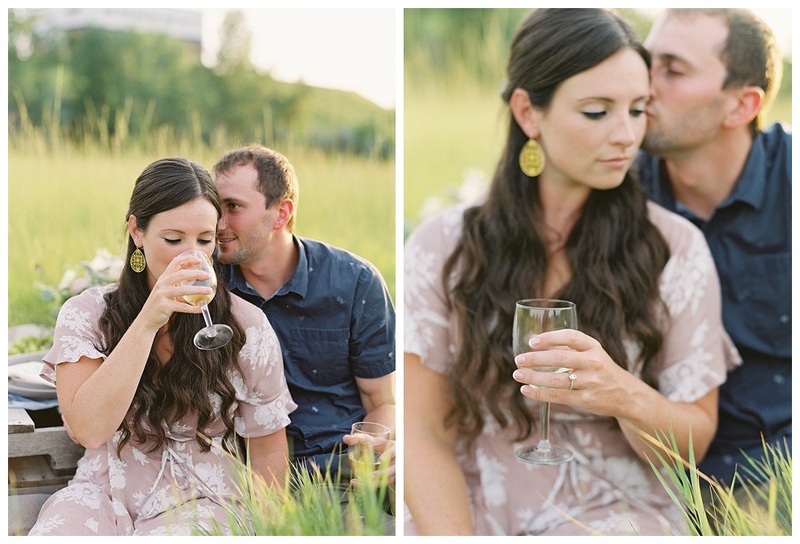 So why not do something completely different for their engagement session?! I was sitting at home watching Dory for the hundredth time with my daughter thinking of unique ways to tell their story when the idea of a celebration sparked. Lets go to a pretty field, since I love fields, and have them celebrate with wine and champagne. The only part I didn't really think threw was that both the decorate, Jaime, and I are currently pregnant so we didn't get to celebrate with them! Courtney & Justin are so incredibly nice and great to be around. Our session went fast with lot of laughs and I know their wedding day will be even more fun. Thank you guys for letting me be creative with your session and I know all of us vendors are over the moon excited for your upcoming wedding day! 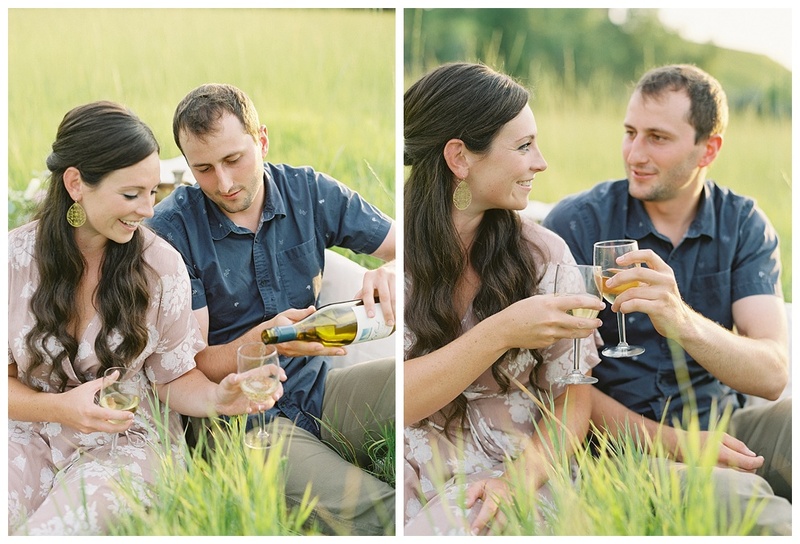 More on the Midwest Wedding Giveaway HERE!